The cranberry belongs to the same genes of blueberry. It appears like a glossy, deep red, very tart fruit. Cranberry is also Known as "bounceberries". It has a tart tangy flavor. 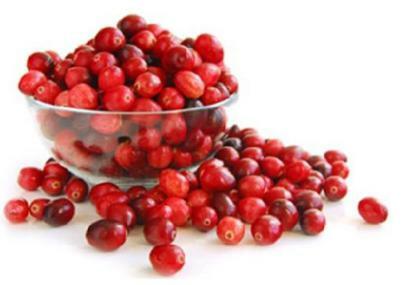 Fresh ripe cranberry can be stored in the refrigerator for 20 days. It protects the mouth and gums deseases and also decreases the risk of stomach ulcer and colon cancer.